The Capital Men’s Competitive Program participated for the first time in the renowned San Diego Crew Classic on March 24th and 25th. The Crew Classic could be considered the Sprint edition of the Head of the Charles Regatta with 123 High School, College and Masters teams participating over two days. 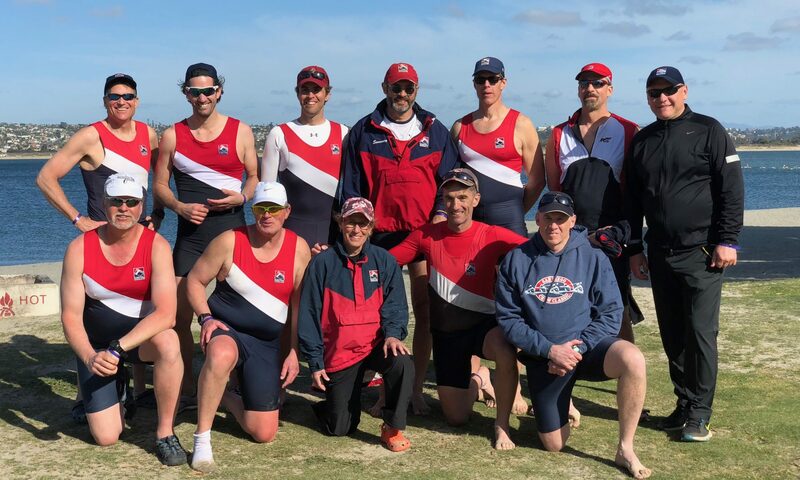 Ten men from the Comp Program trained over the winter, both indoor and on the water, to prepare for two events: The Men’s Masters Club Championship Event (Heats and Finals); and the Men’s Masters E Event (Final only). A unique aspect of this regatta is the length and venue. The course is 2000 meters in Mission Bay with tides and consistent West winds typically between 8 and 12 mph proving to be an exceptionally challenging race. Most of the men had not raced 2000 meters since college, if ever. The men in the Masters Club Championship Eight finished third in their heat on Saturday advancing them to the eight boat final on Sunday morning where they finished a strong 7th. Cambridge Boat Club stroked by 1968 Olympic Medalist Charlie Hamlin won the event. The men finished a close fifth in the Men’s Master E event Sunday afternoon again with Cambridge winning the event but this time stroked by 1984/1988 Olympic medalist, Tom Darling. This was an open event with several “rolodex” crews made up on former elite/national rowers. Coach Guennadi was proud of the men watching them row extremely well in the challenging conditions at a stroke rate (35 spm) typically not seen until June. 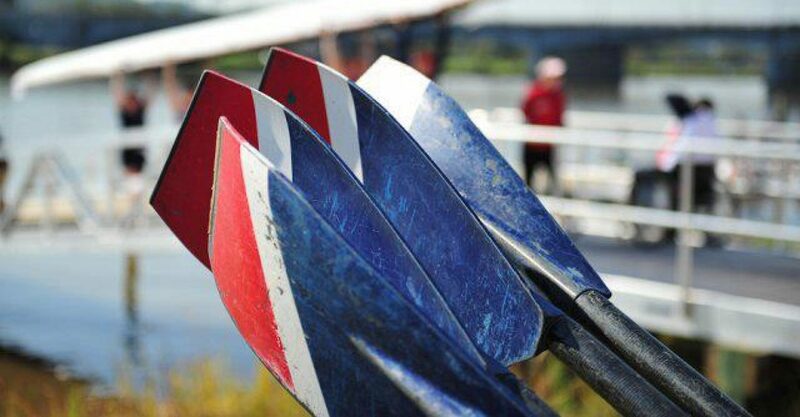 To be the best, you have to row with the best, and that is indeed what they did. 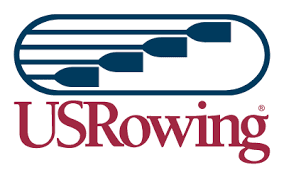 The men are looking forward to the Masters National Championships in Oakland, CA where they will see many of the same very competitive West coast crews.